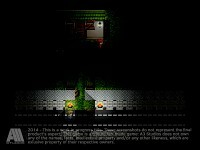 We're developing a fan-made tribute game to Freddy Krueger and A Nightmare On Elm Street: details, screens and videos inside! today we're really excited to share with you some news about our very first upcoming project. As you can see here on IndieDB, we're pleased to annouce that soon we'll be able to give you Freddy's Back: A Nightmare On Elm Street, a tribute fan-made game dedicated to Freddy Krueger and its crazy universe.Freddy's Back is a horror adventure and puzzle game. You will experience a fan-written storyline where you'll be Allyson, a girl that for the third time can't sleep because of the same, damned nightmare: as she states, "He's back again". Also, to match Freddy's appearances in the videogame industry, game designer and project manager Fabio Cerullo reinvented the Nightmare's universe in a brand new chibi-super-deformed vision. 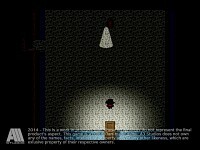 So we started develop the game using RPG Maker XV Ace, because of the canonical style and the ideas and features that the framework inspired us.At the moment, the game works well and during this week we will share a gameplay video: we're packing an "Episode 1" build (for PC Windows) and we are now busy with last touches and localization. Hope you've enjoyed these first assets. Starting by tomorrow we'll be amazed to share with the whole IndieDB people more news about Freddy's Back. For now, if you like this project and would like to help us, please spread the word and give us likes, shares, follows and tweets on social networks! Please like us on Facebook and follow us on Twitter!! !